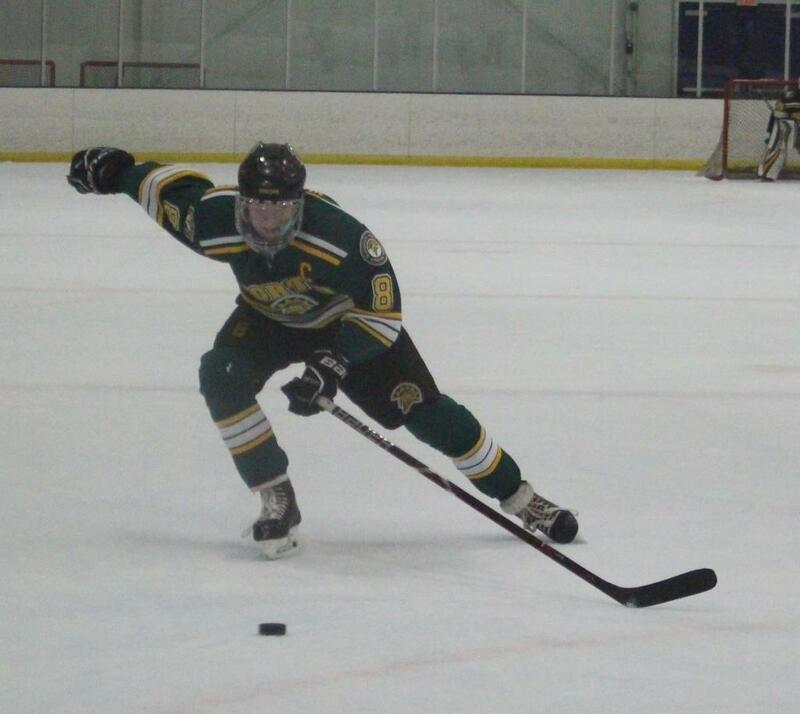 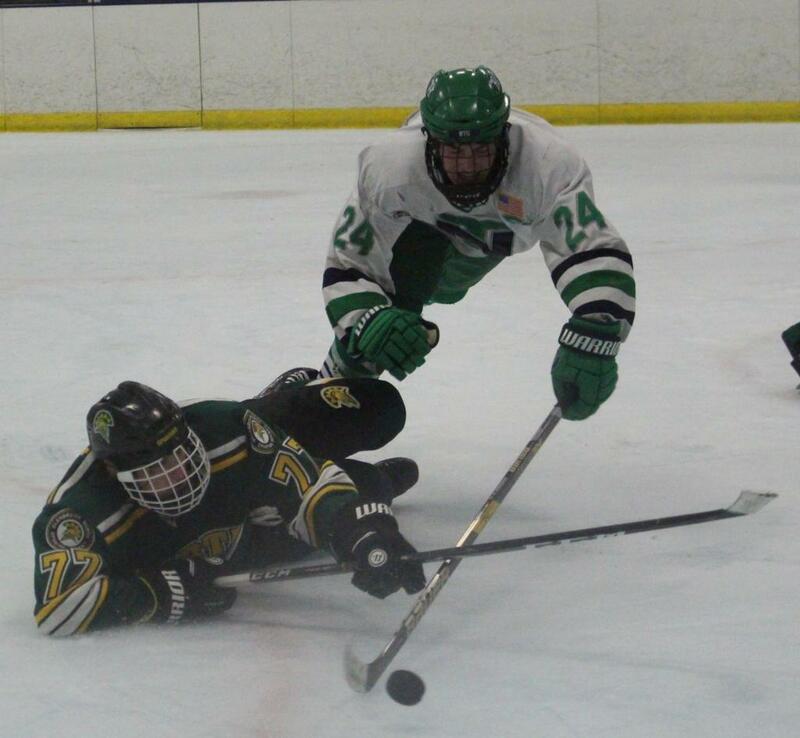 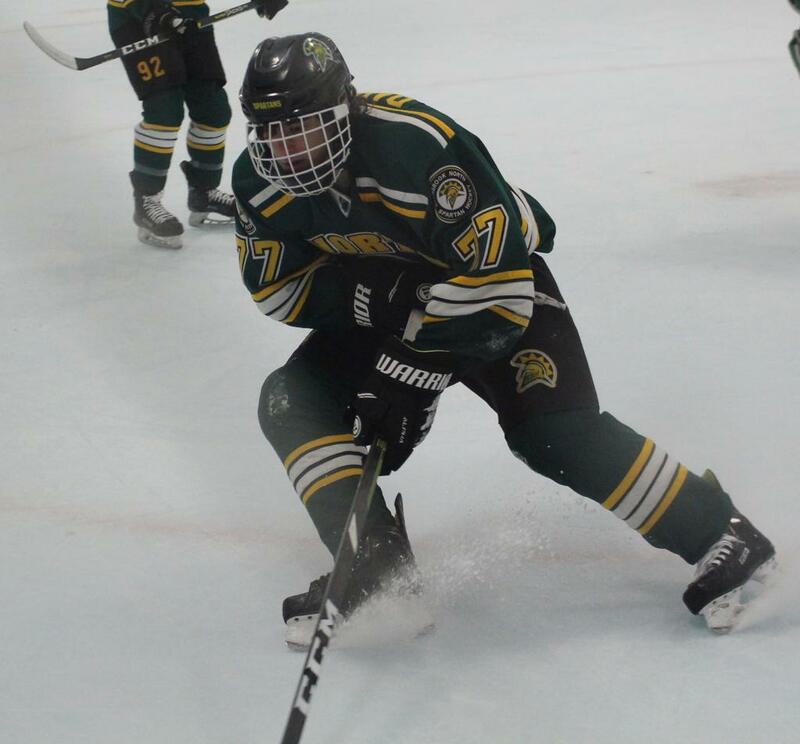 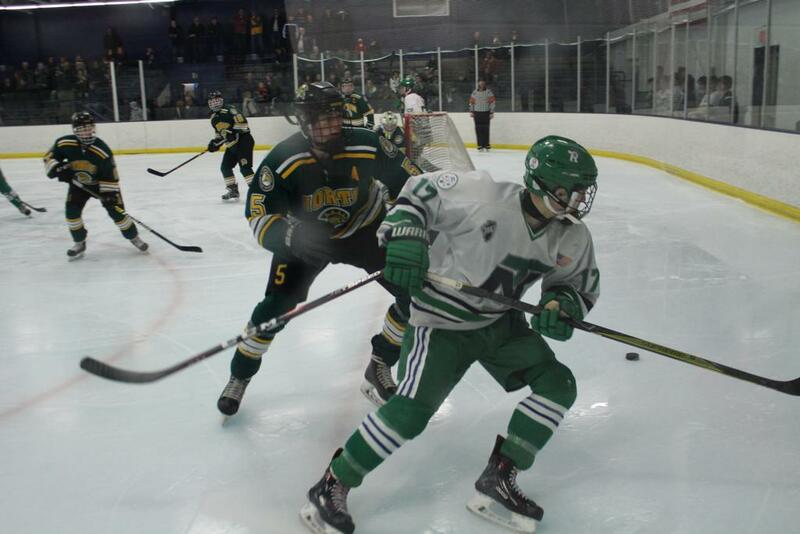 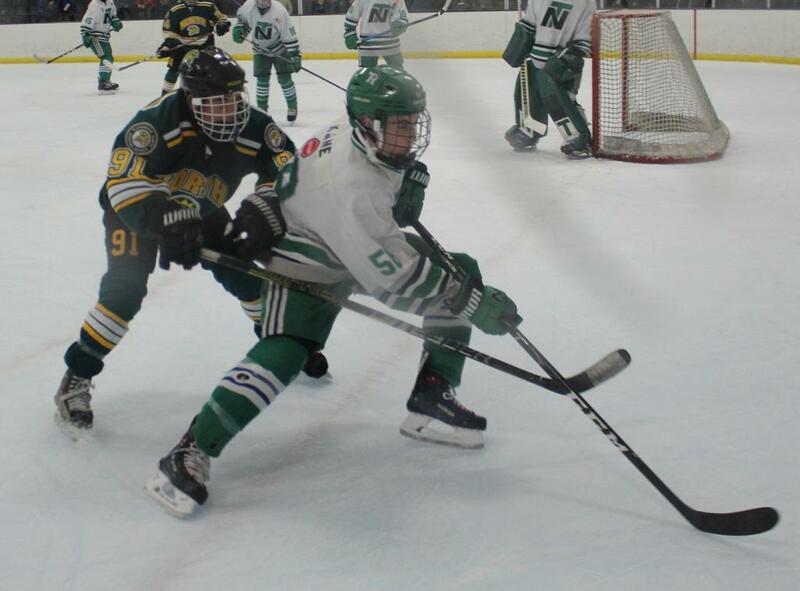 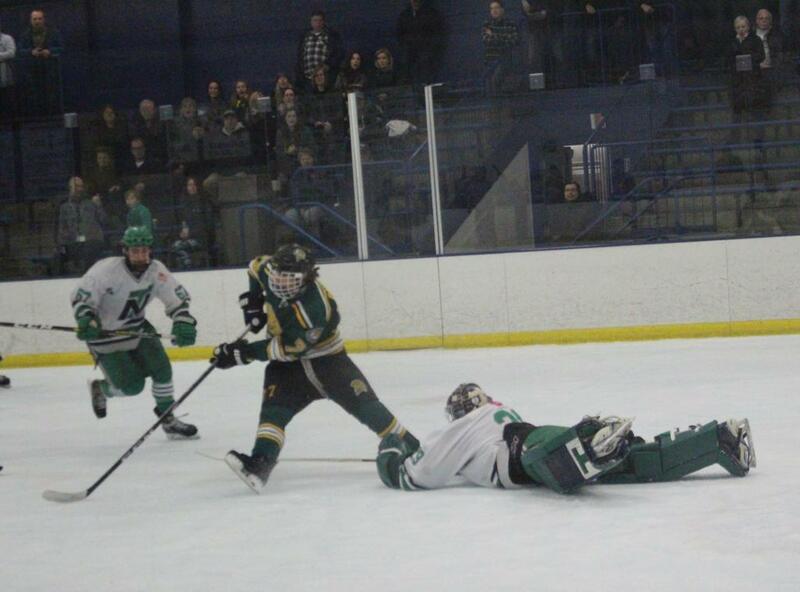 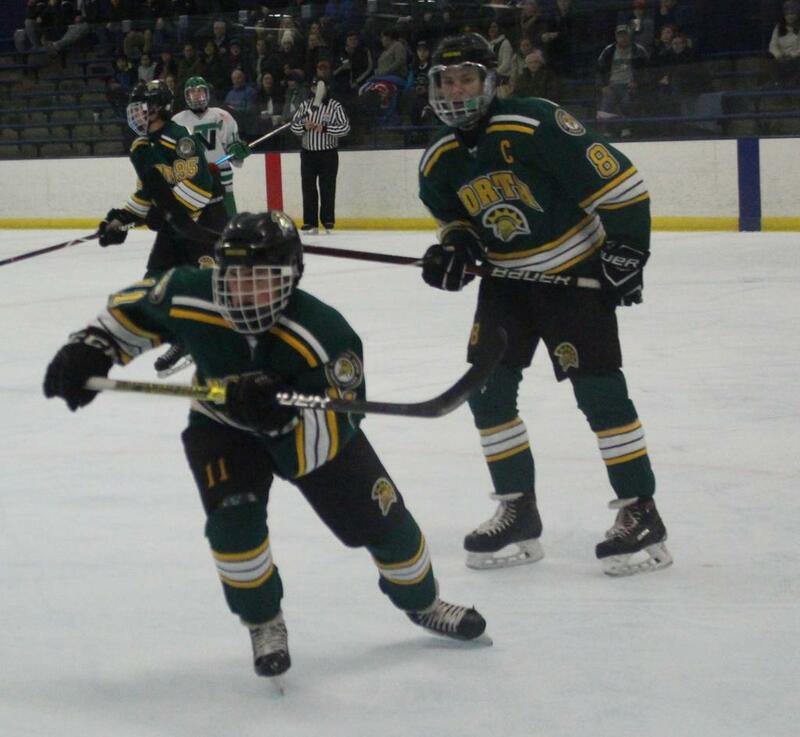 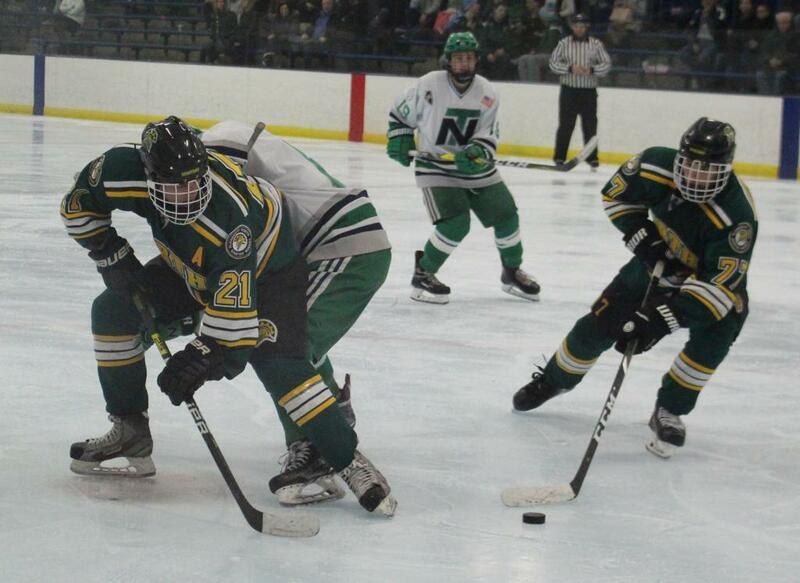 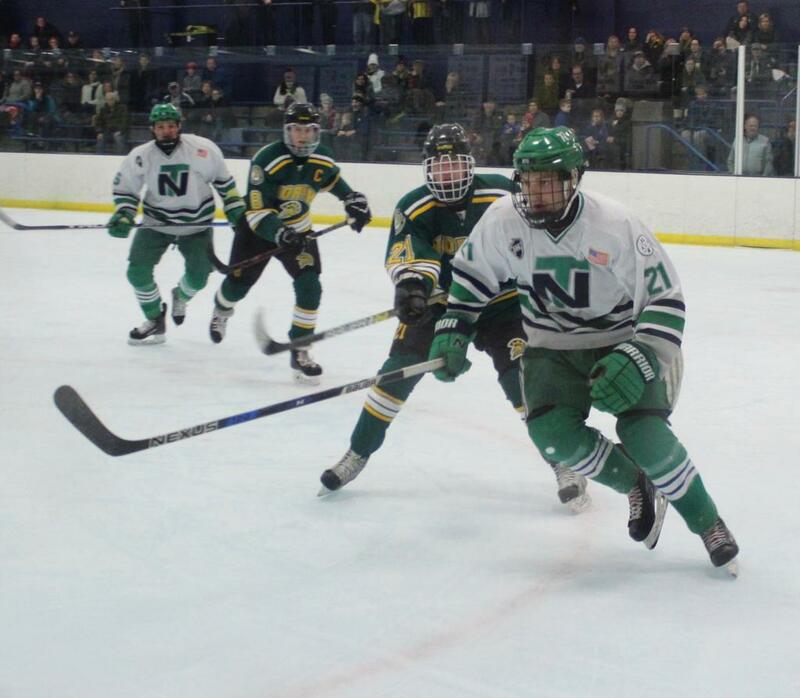 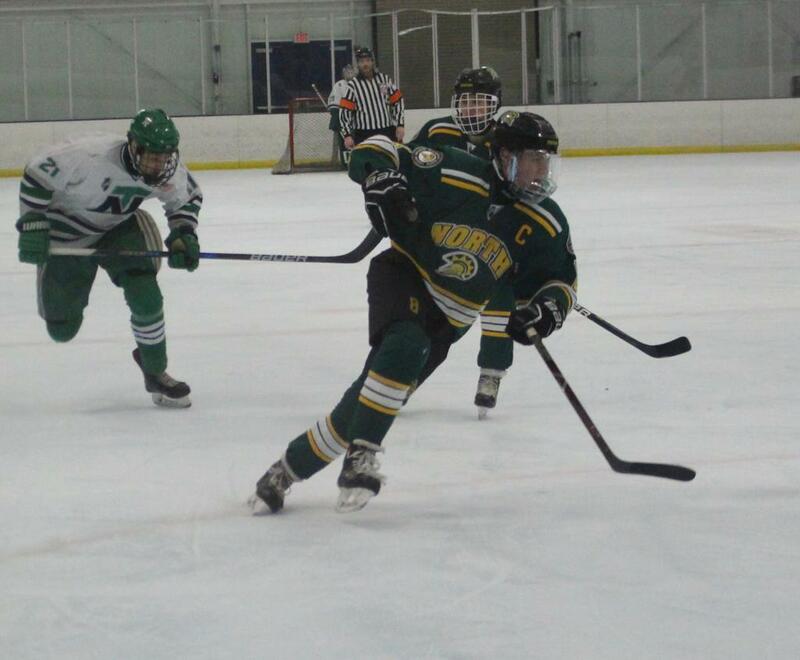 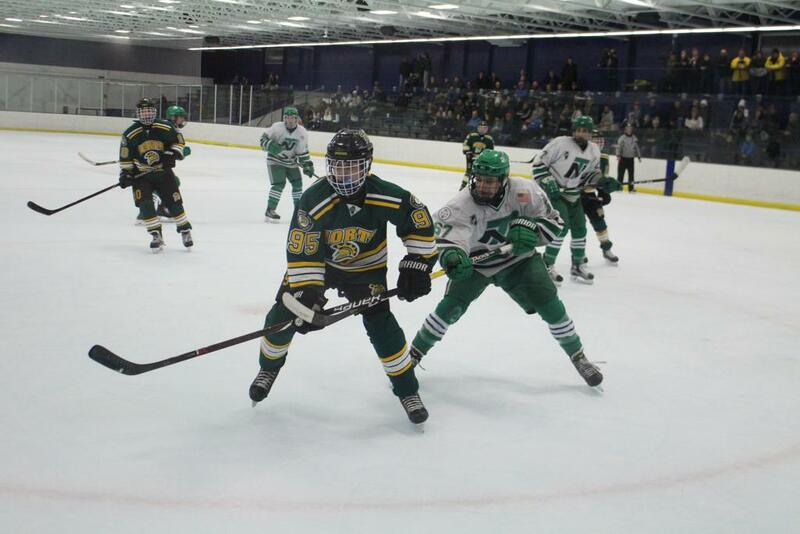 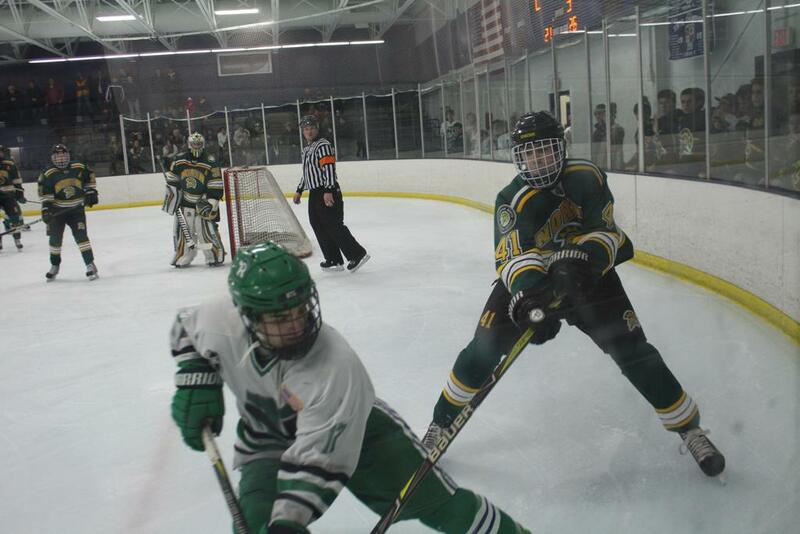 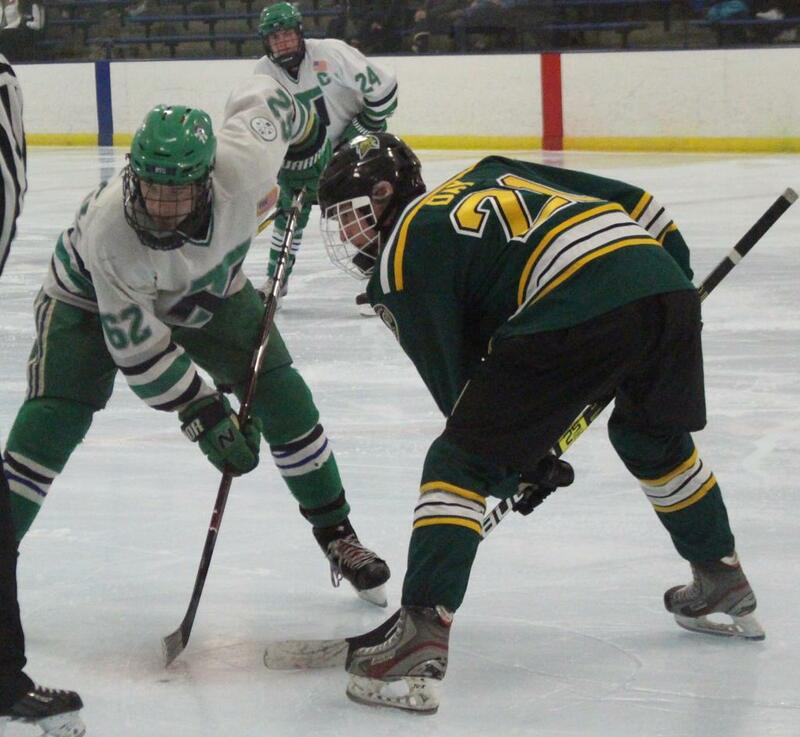 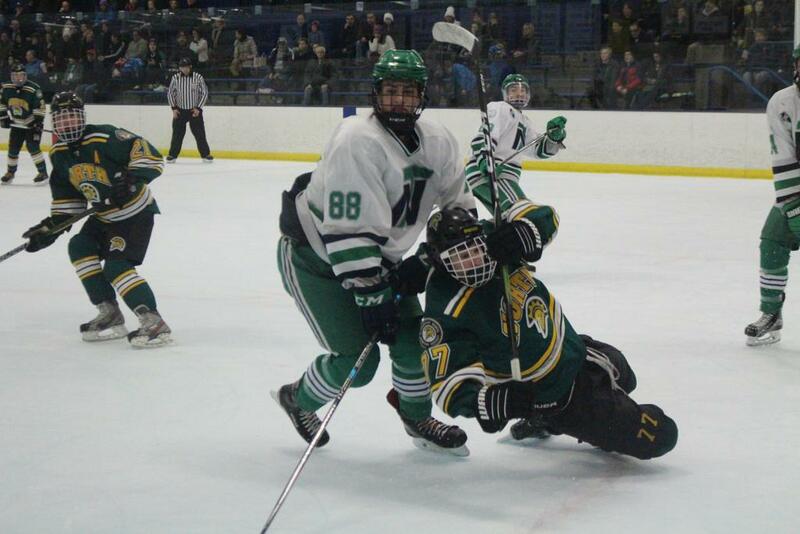 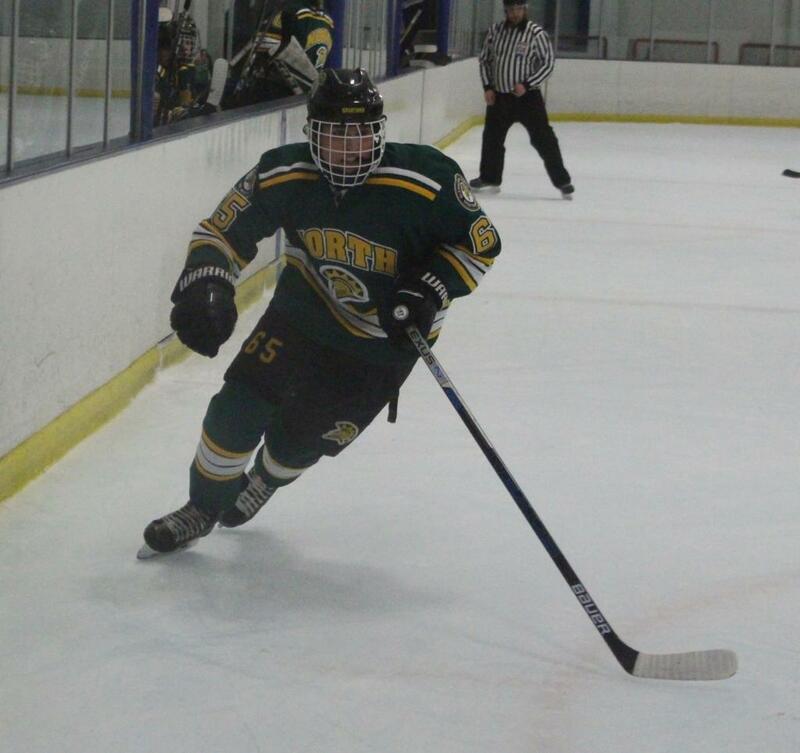 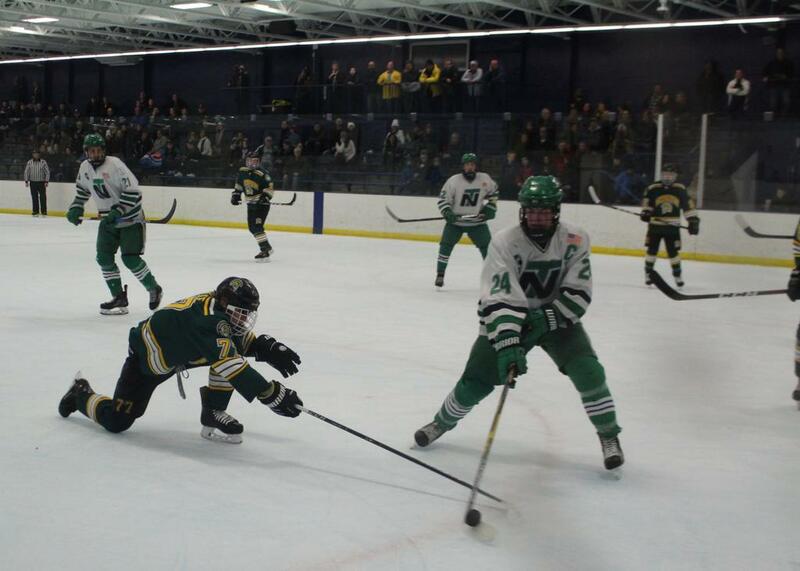 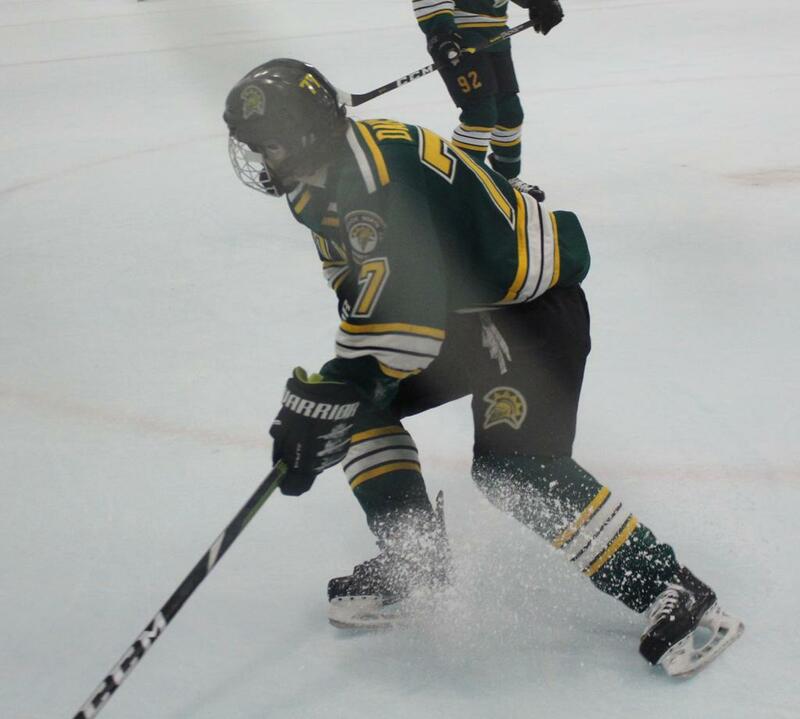 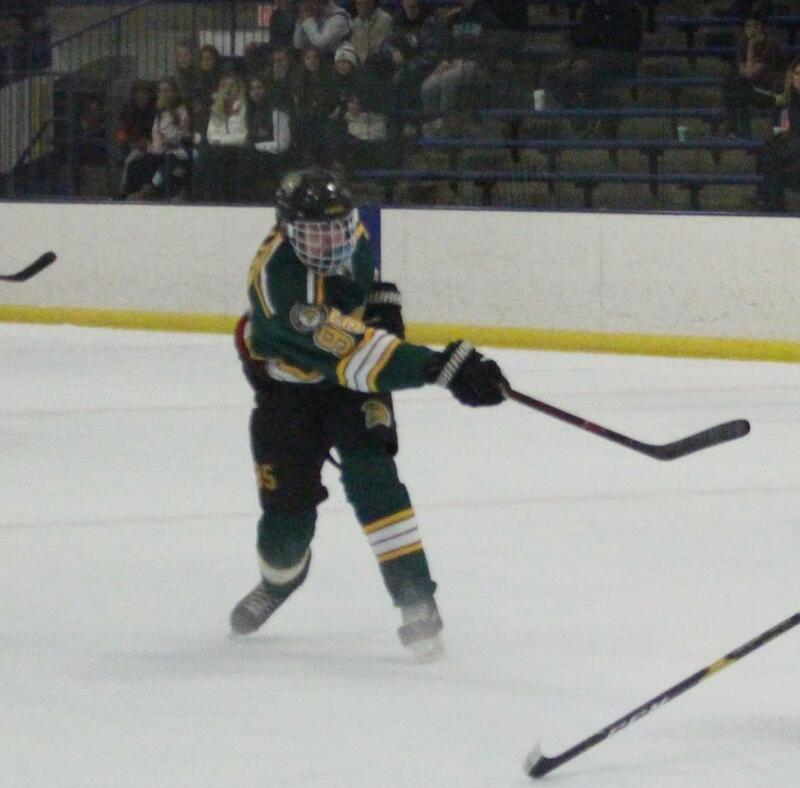 With forward Charlie Slovis in crutches and a handful of other injuries, Glenbrook North was not feeling the best heading into a contest vs. No. 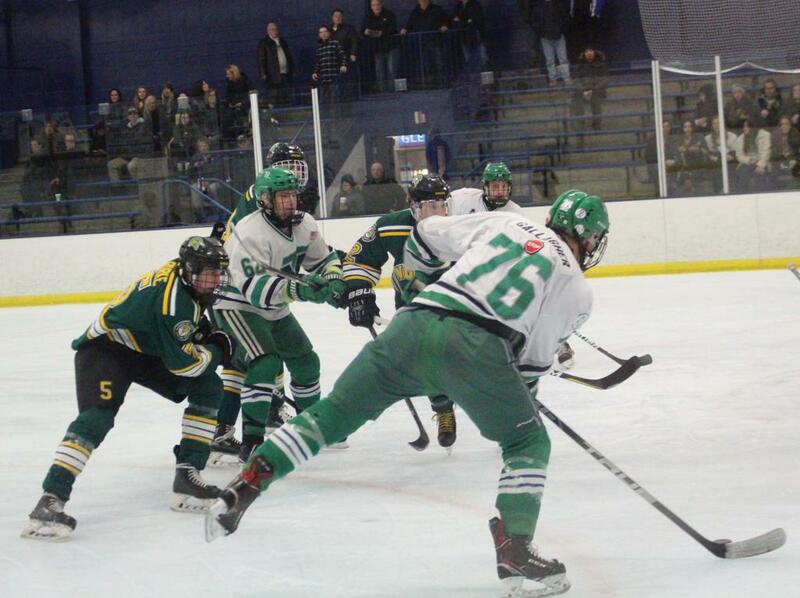 1 New Trier Green. 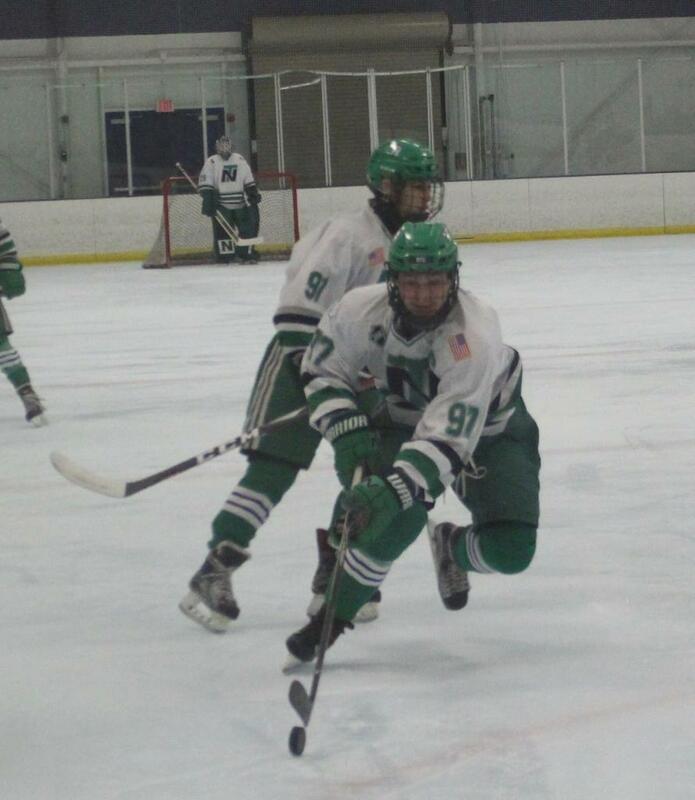 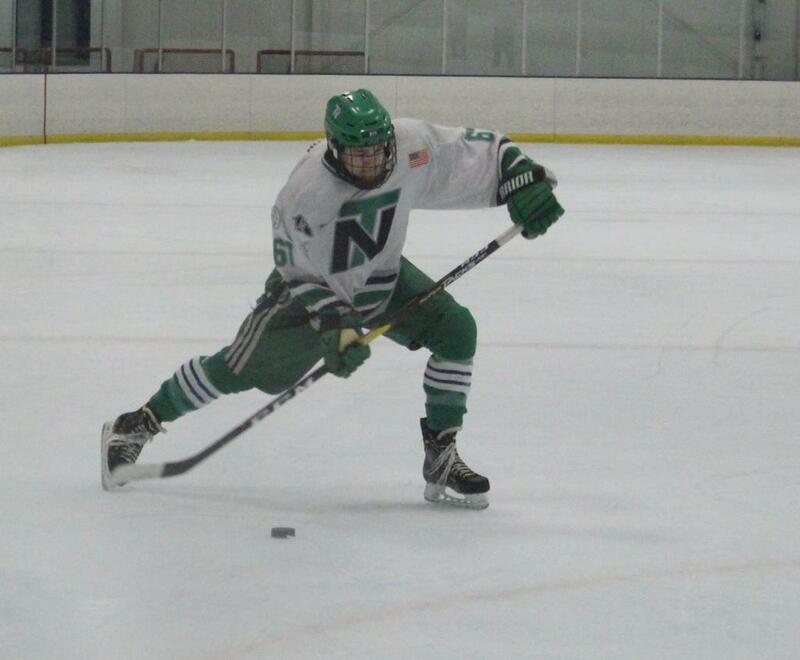 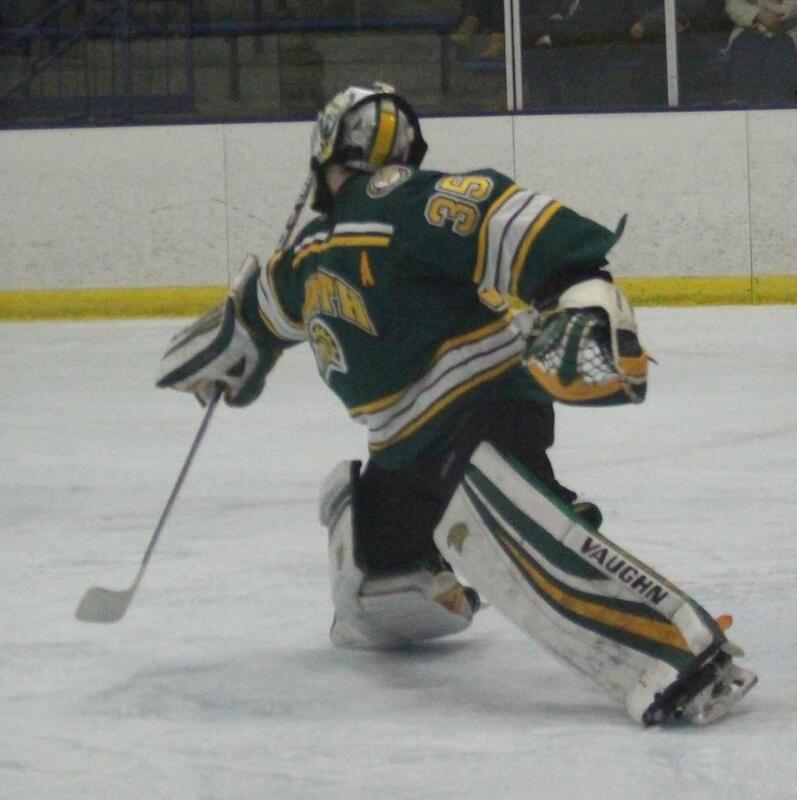 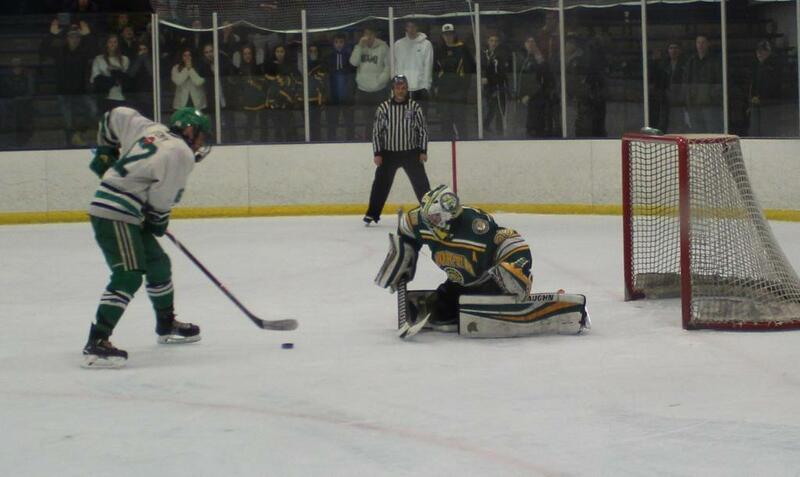 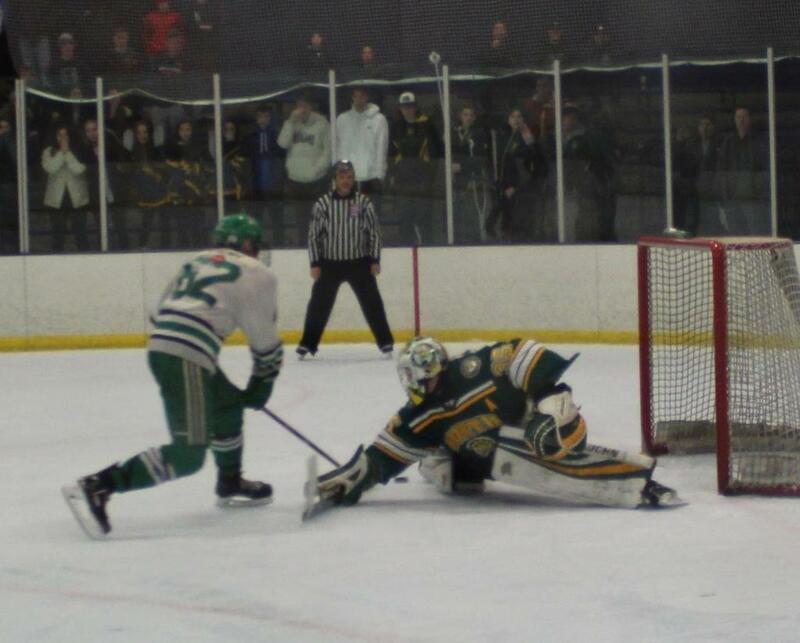 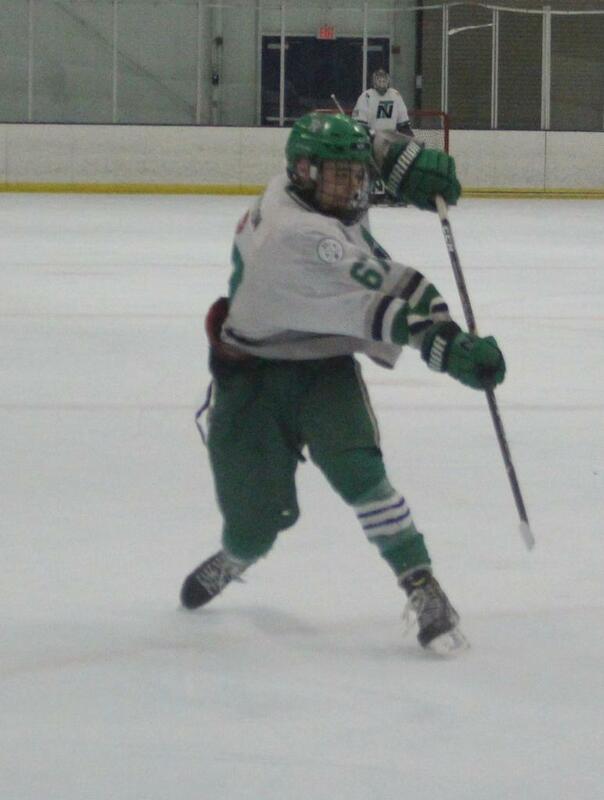 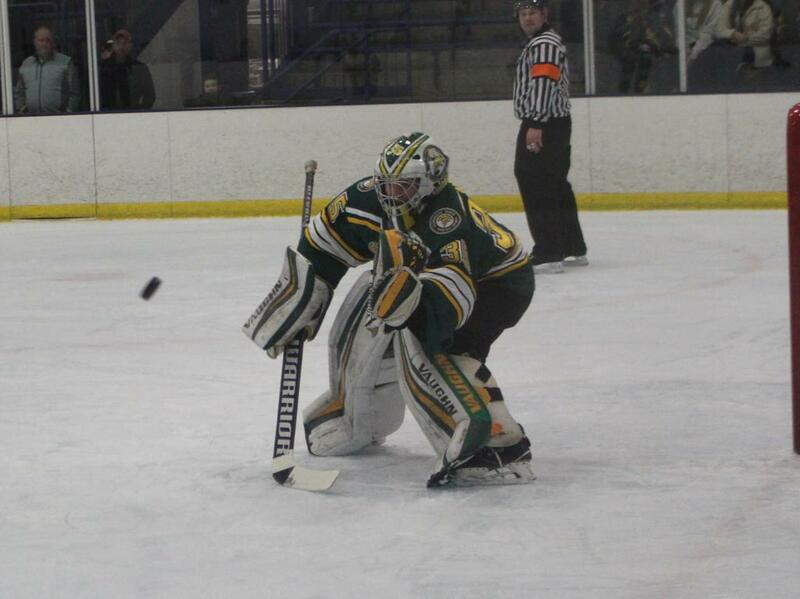 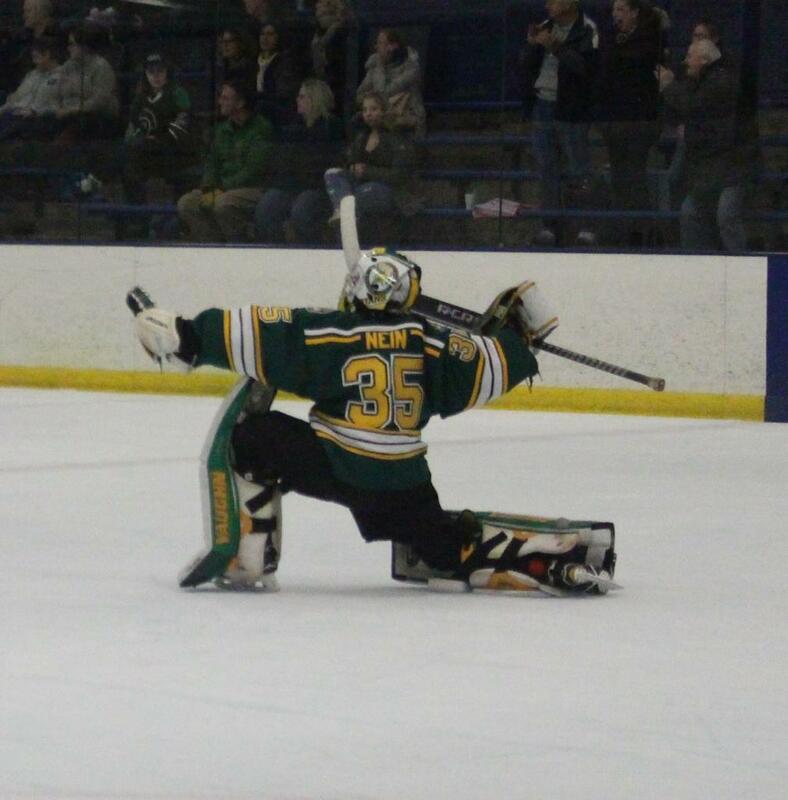 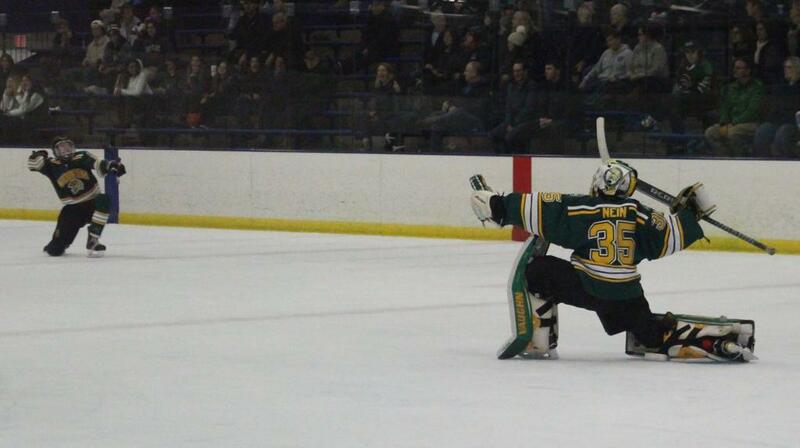 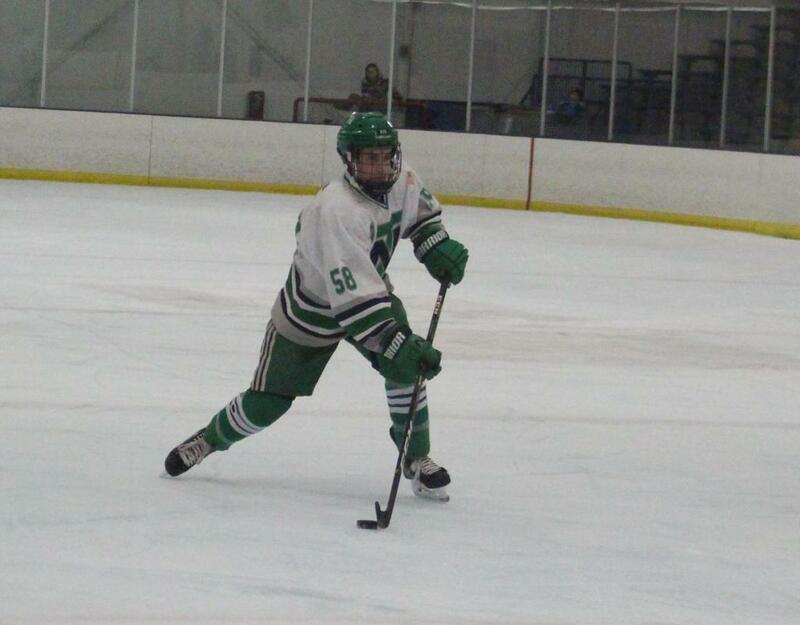 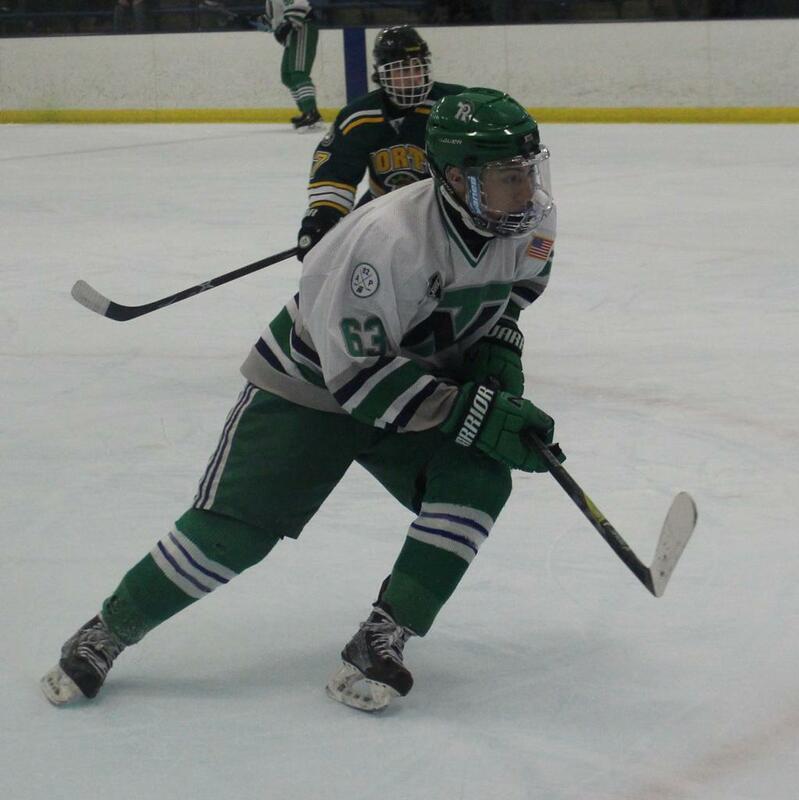 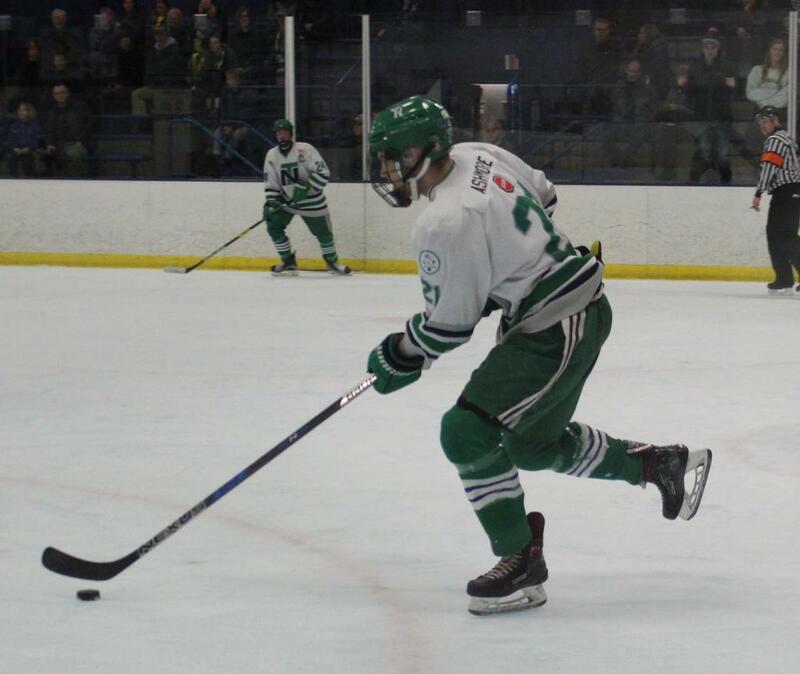 With the help of David Wilcox, Andrew Rubin and Brennan Nein in net, the Spartans overcame their injury woes in a 3-2 shootout win Saturday afternoon in Northbrook. 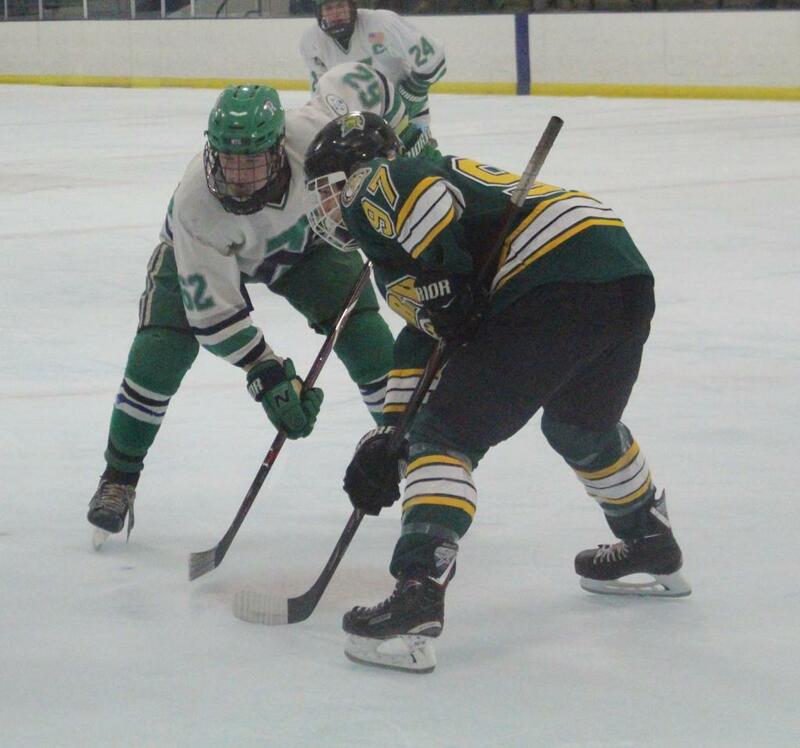 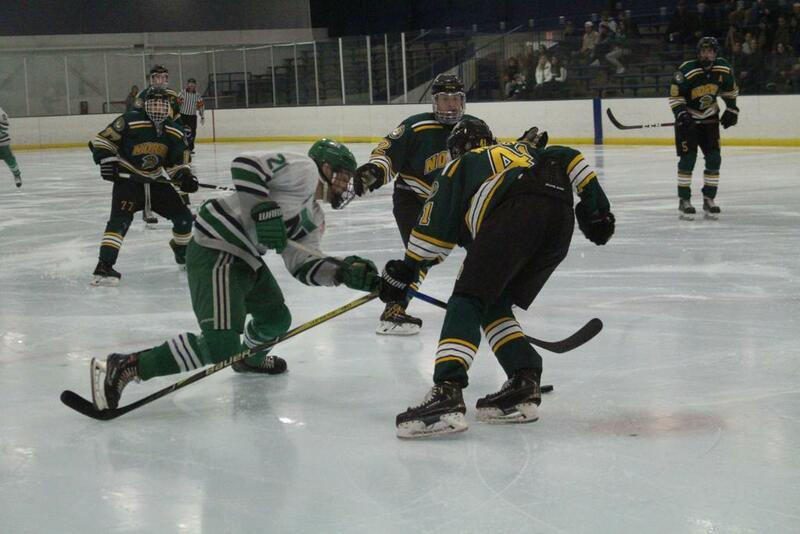 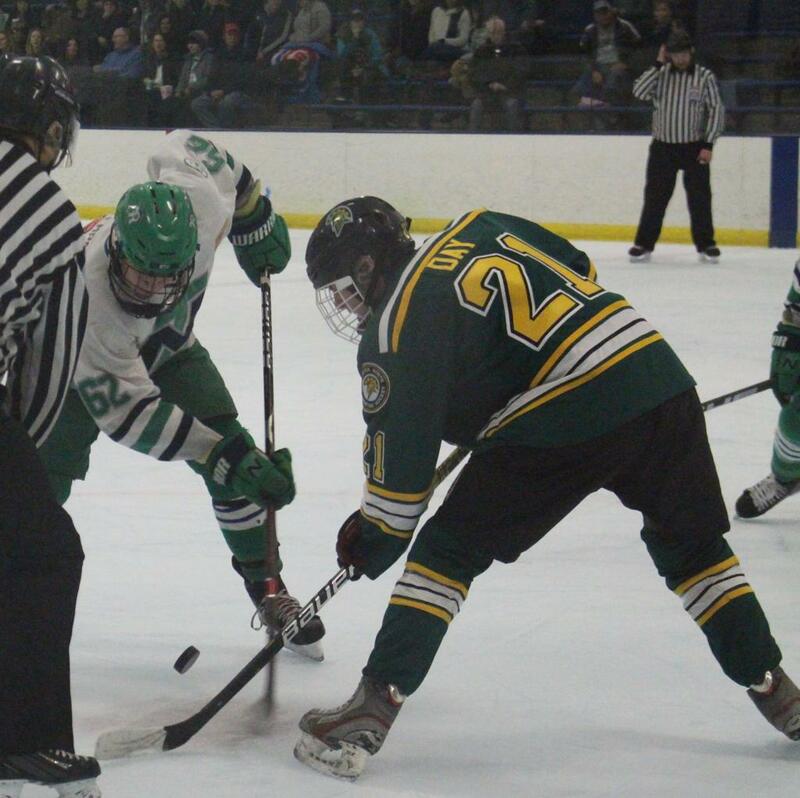 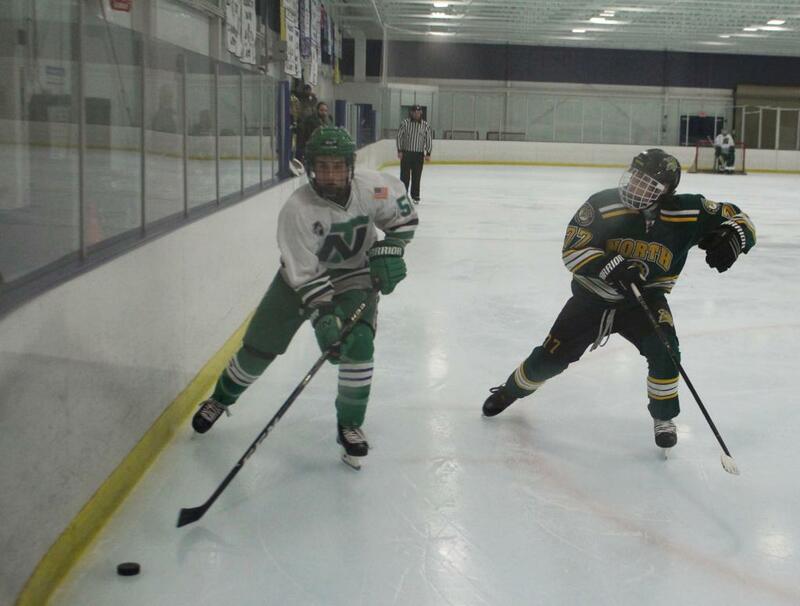 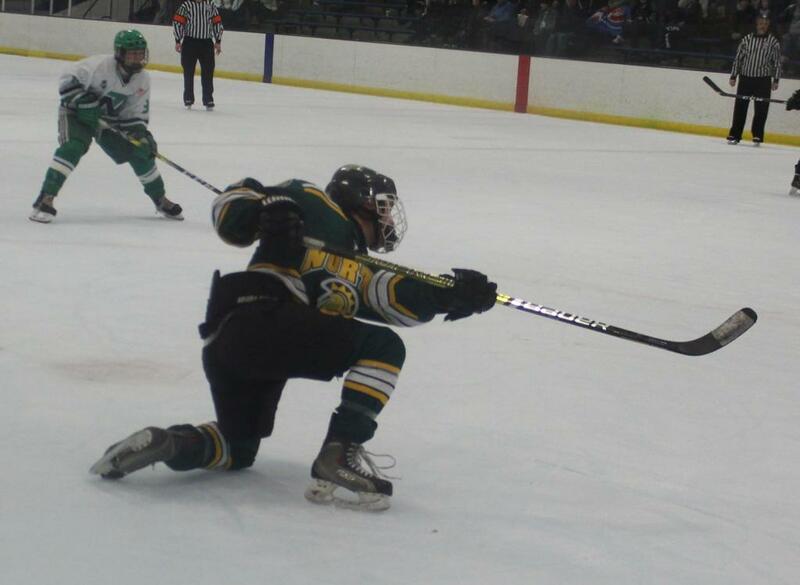 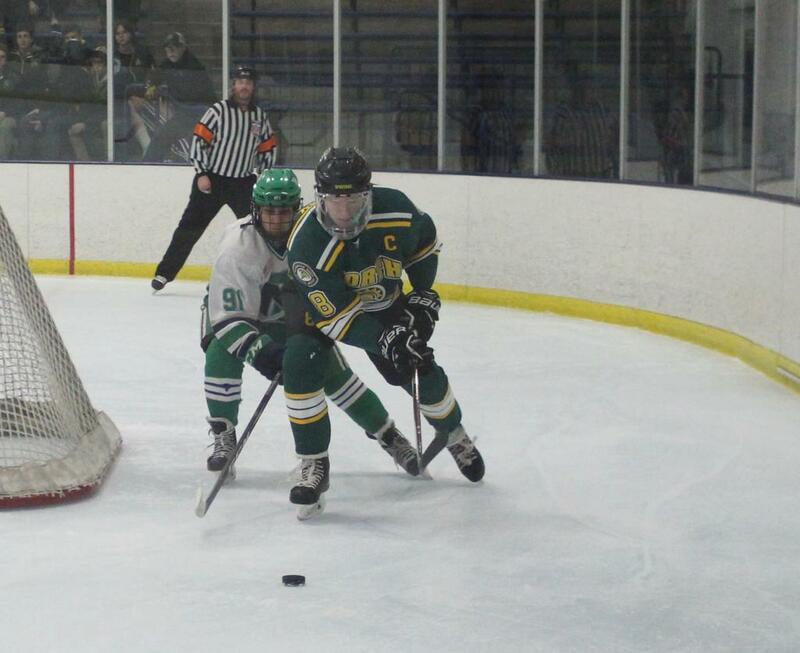 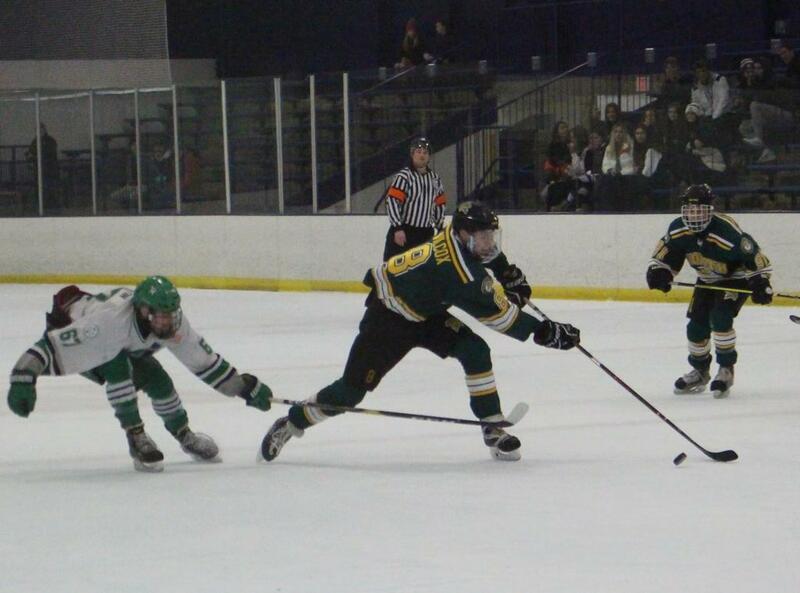 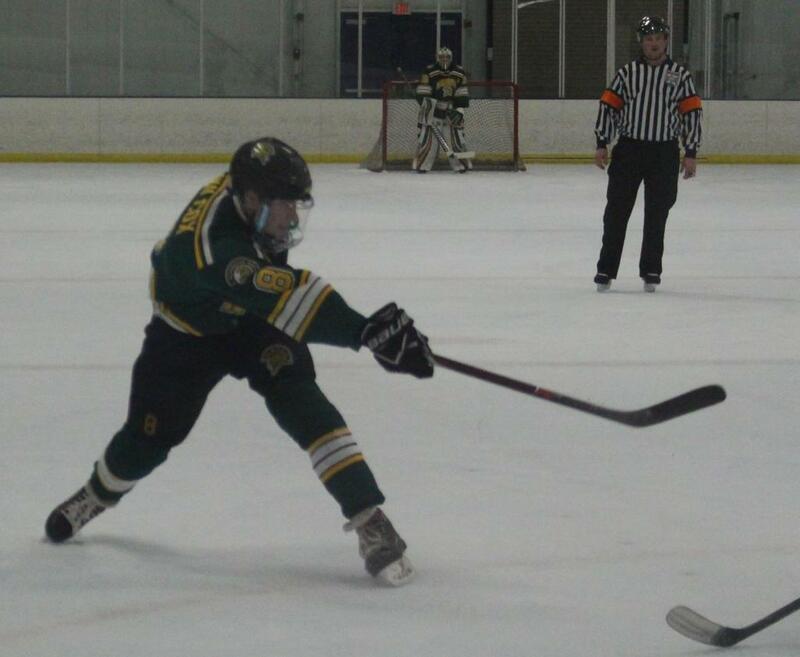 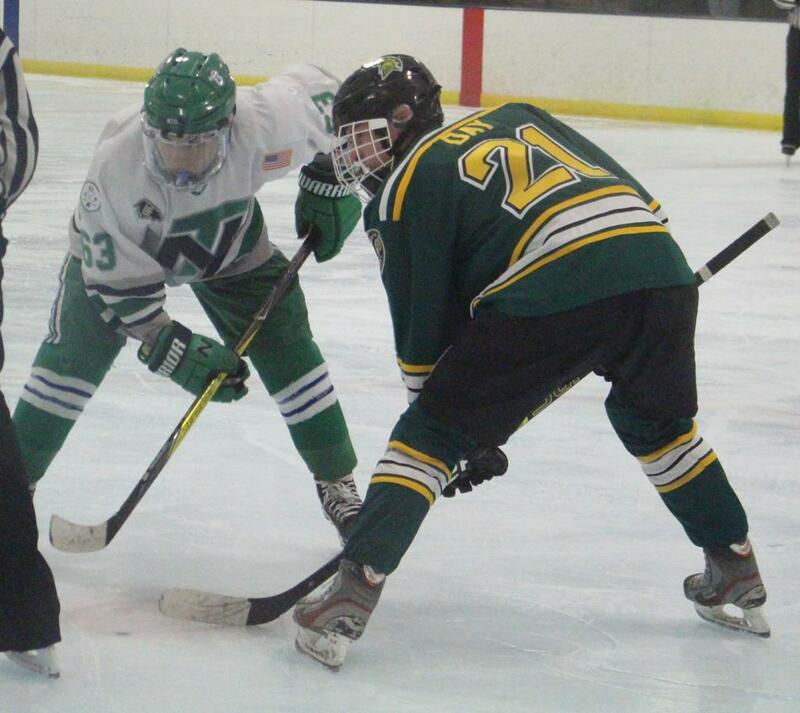 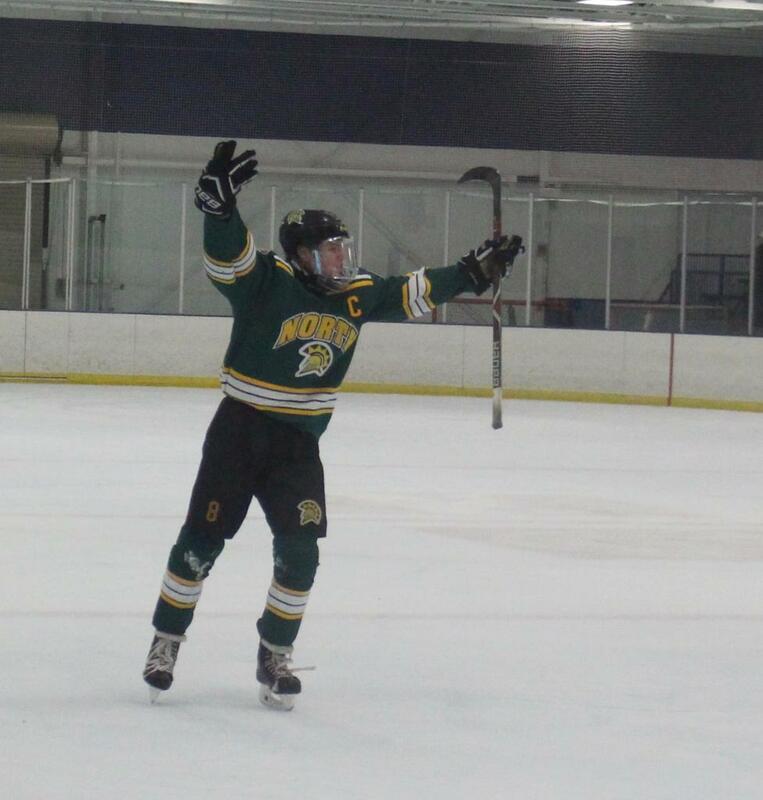 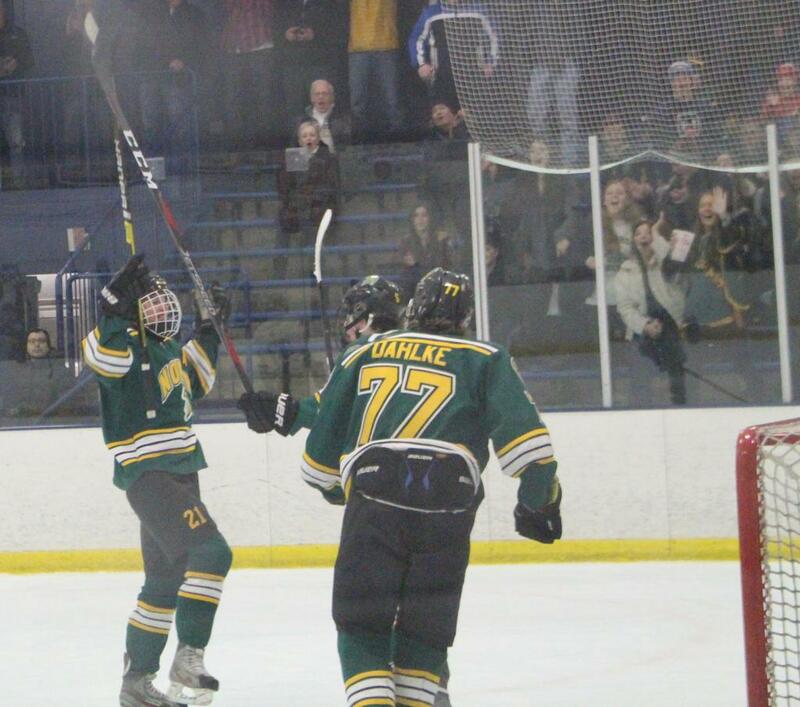 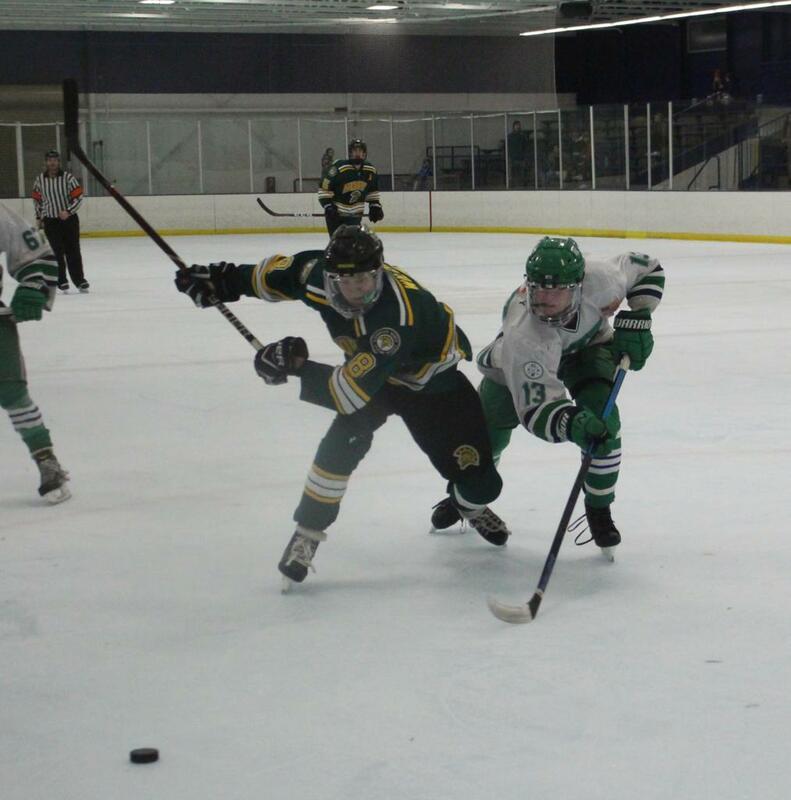 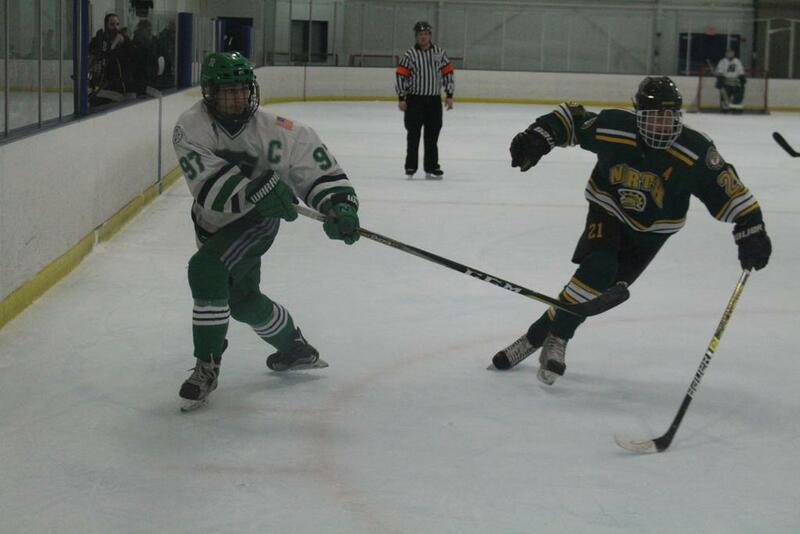 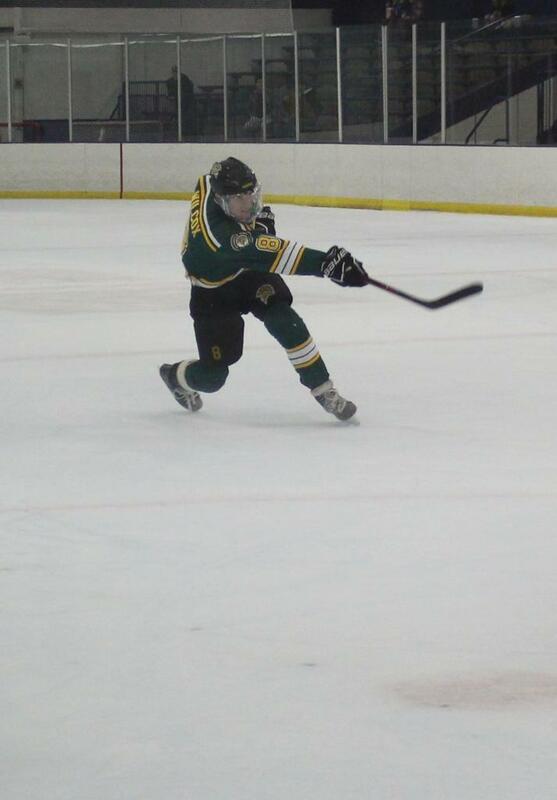 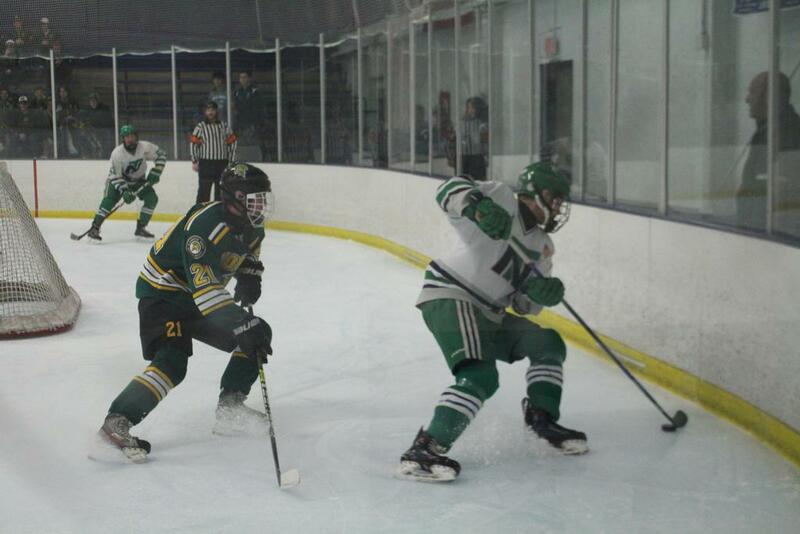 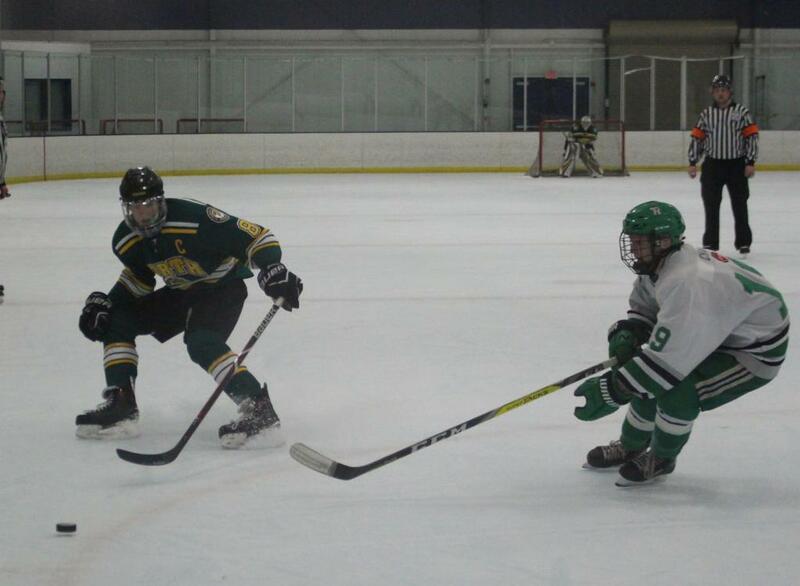 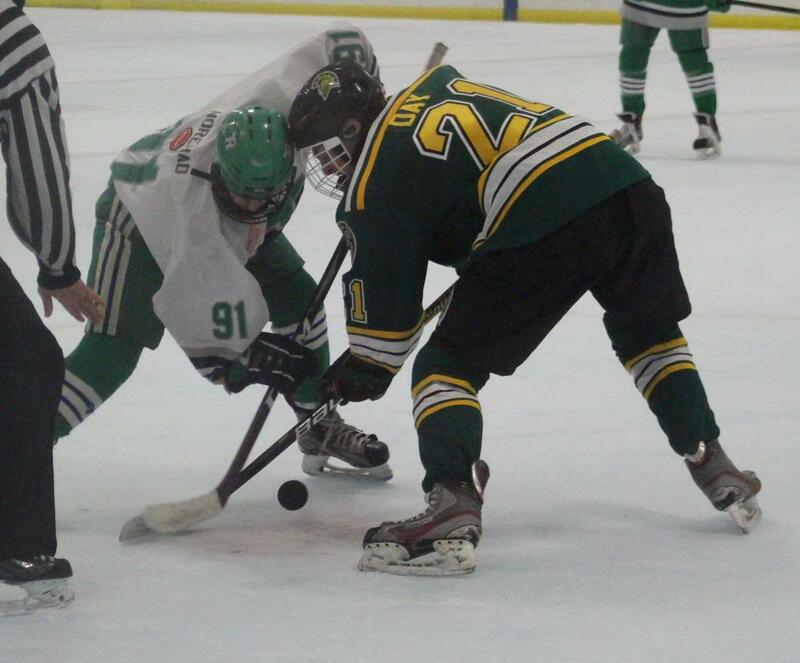 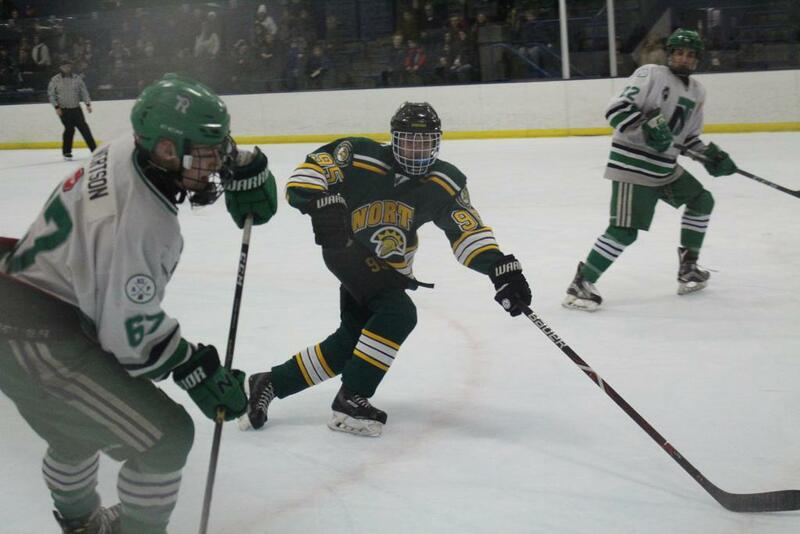 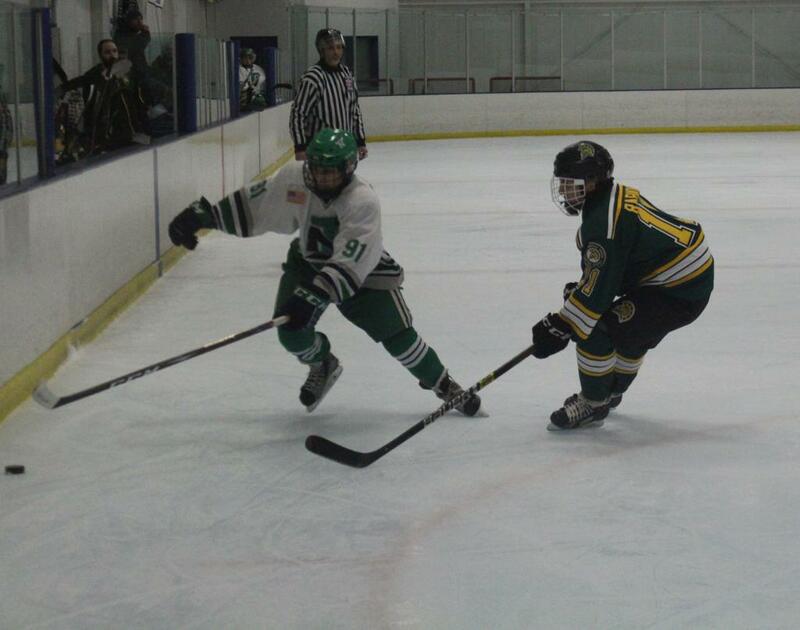 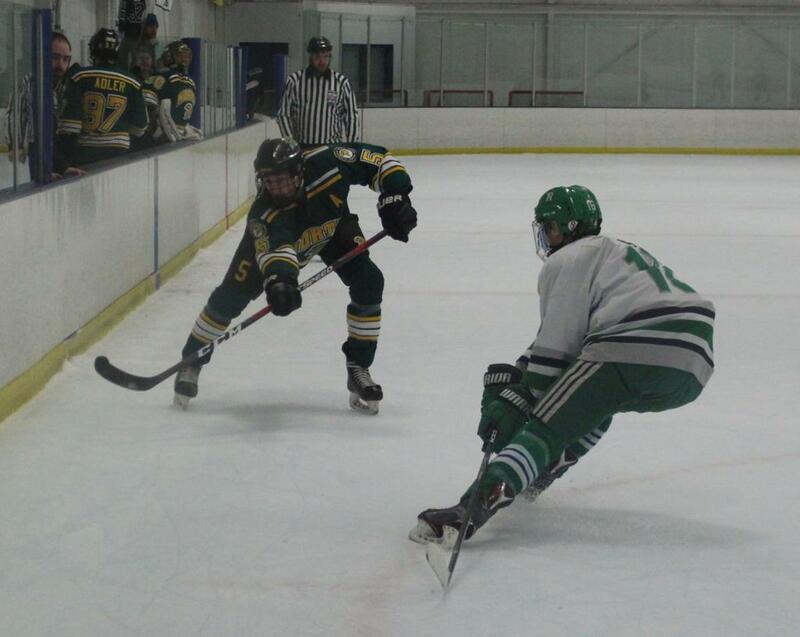 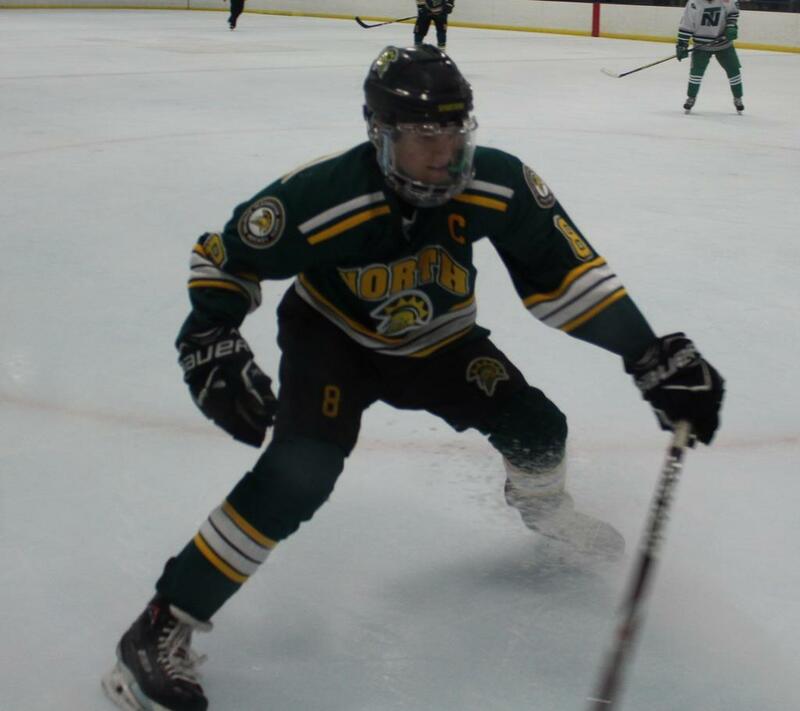 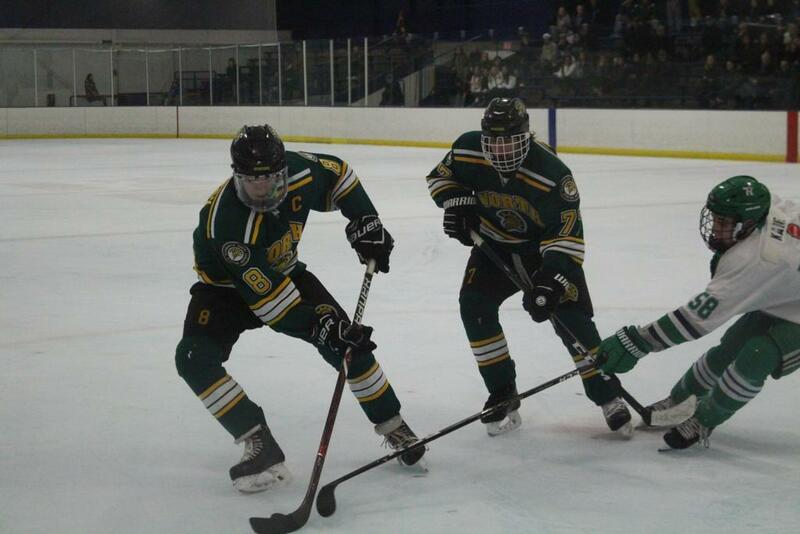 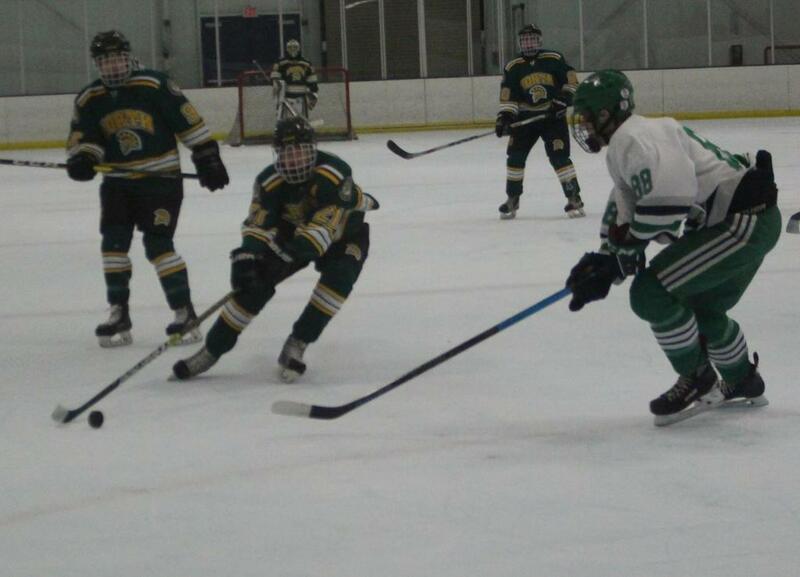 After a scoreless first period, Glenbrook North set the pace with two goals within 20 seconds of each other in the second. 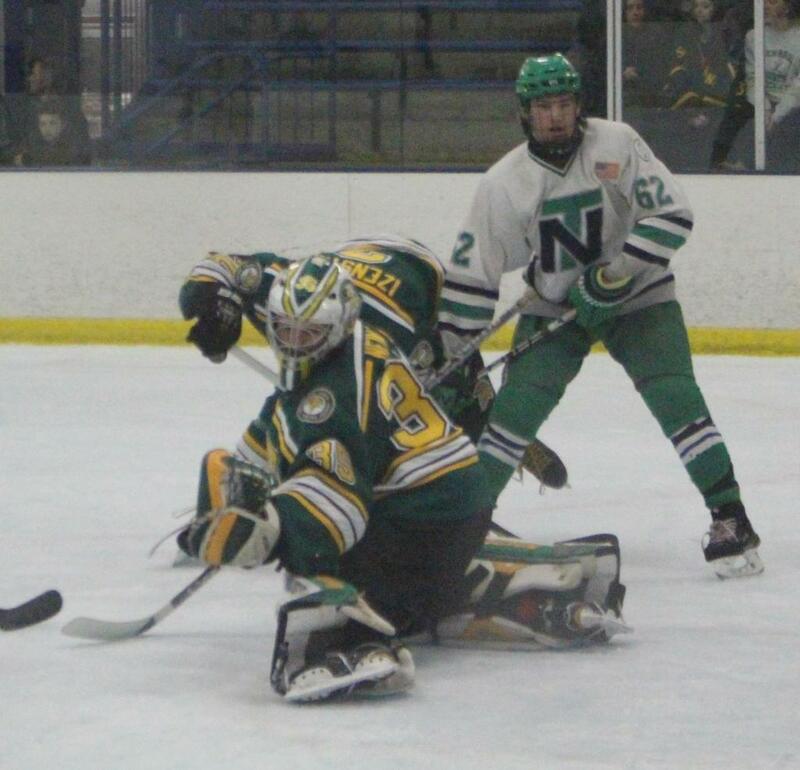 Wilcox took a shot that knocked him off his feet on the power play and Mikey day followed. 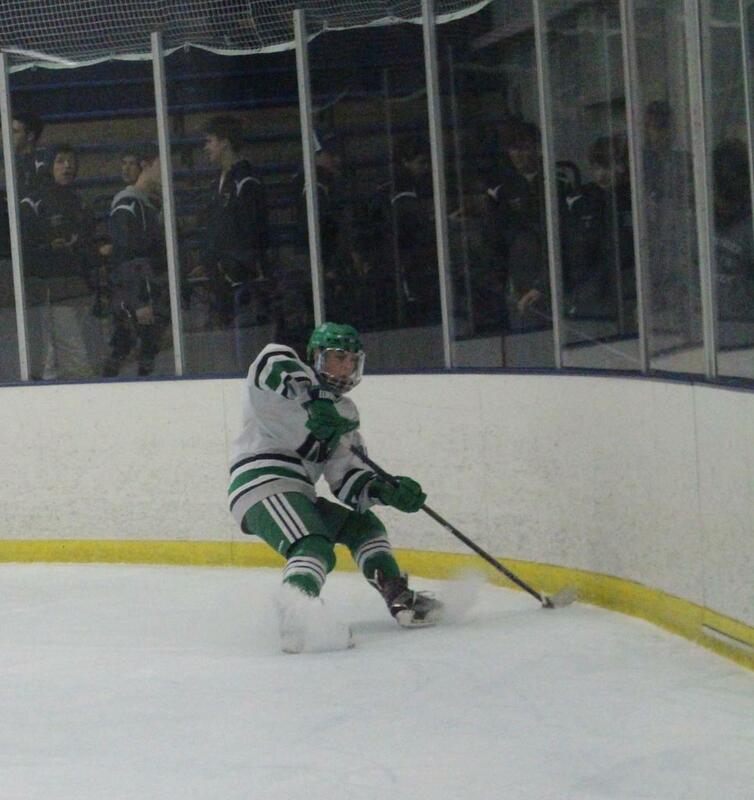 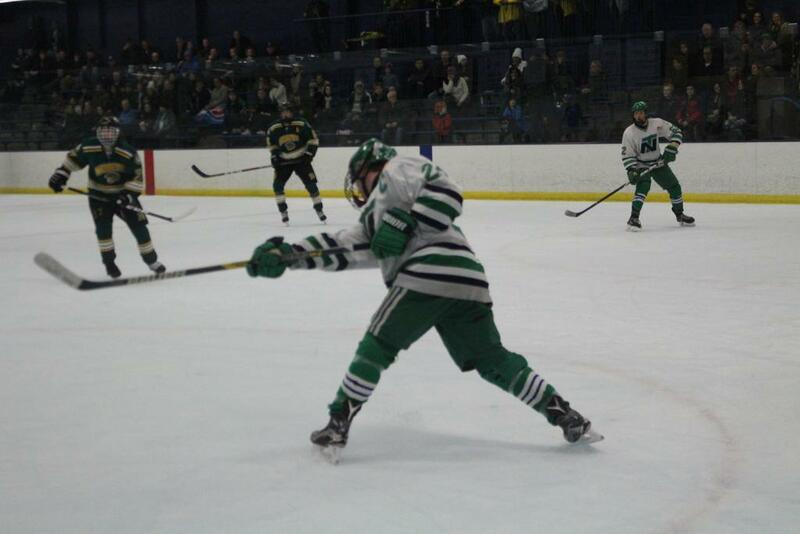 New Trier’s Mac Zelazny responded at the six-minute mark and shortly after Brian Dolby tied it up. 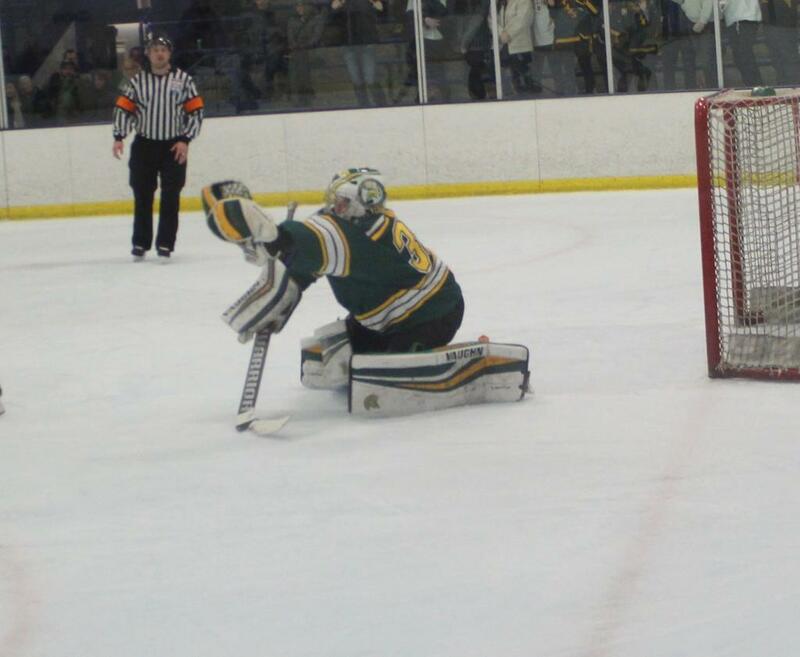 The third period came and went followed by a quiet, but stressful, OT. 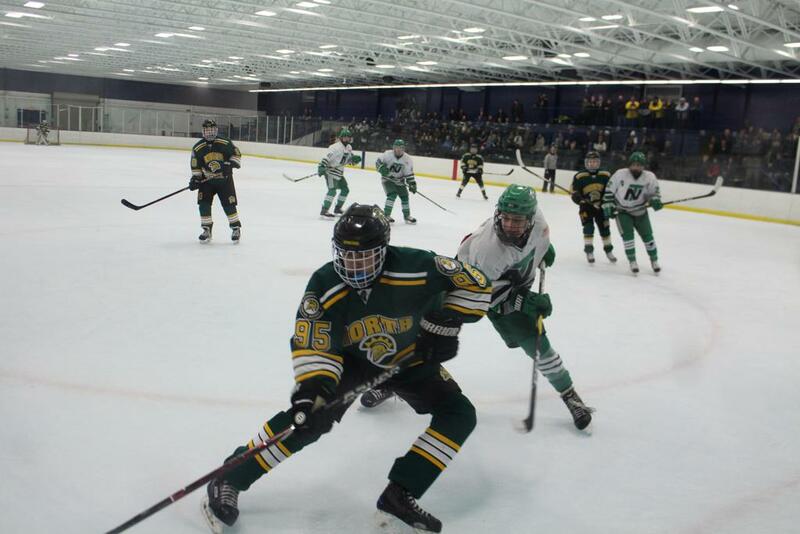 With Nein in net for Glenbrook North and Owen Reger for New Trier Green the Spartans and Trevians geared up for a shootout. 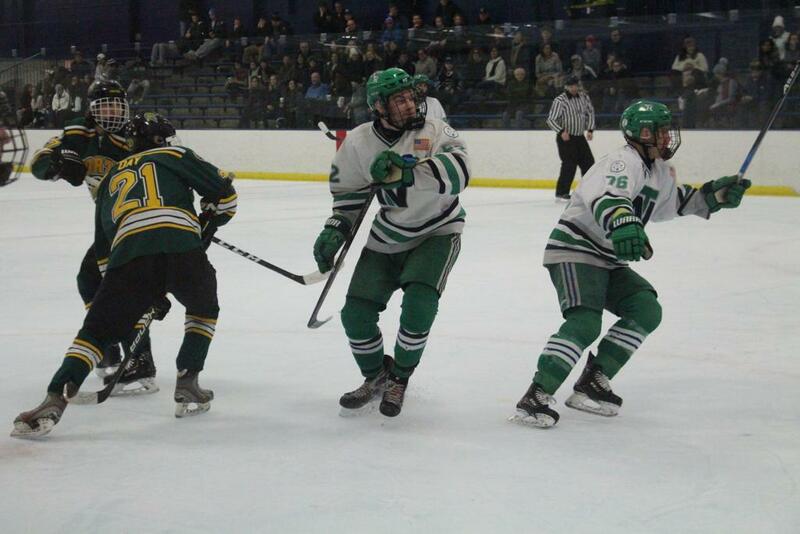 After five rounds Rubin and Wilcox sealed the win. 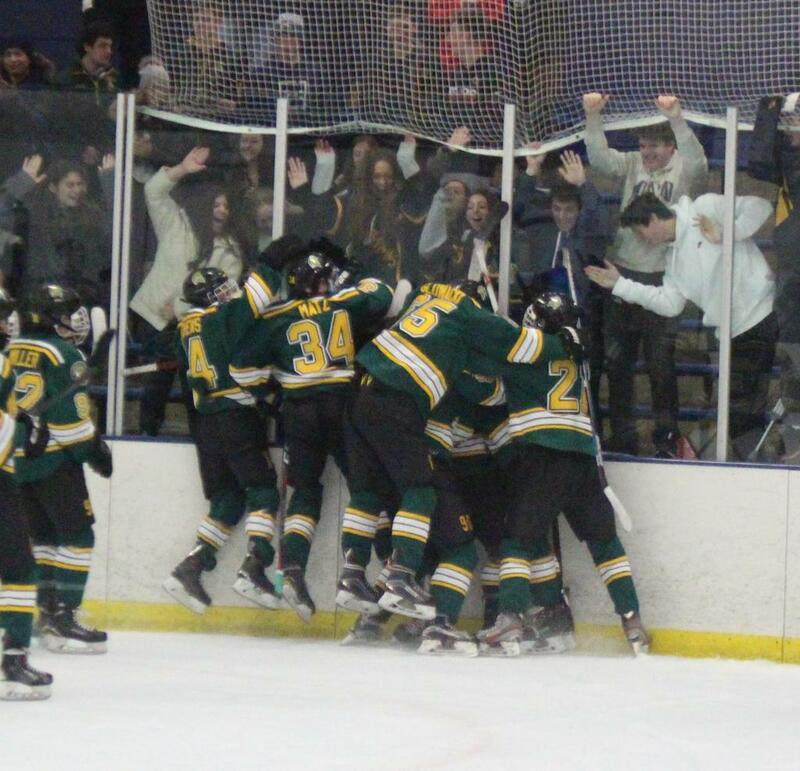 In the end, the Spartans proved that they can overcome the hardships of becoming the skated wounded and are glad to have this extra boost before the playoffs.